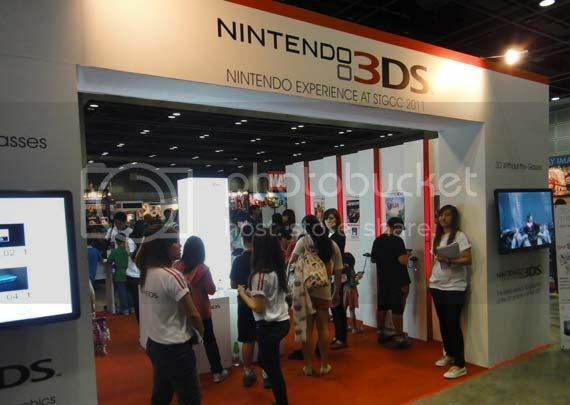 STGCC Nintendo 3DS Hands-On - Glasses Free 3D = Awesome! 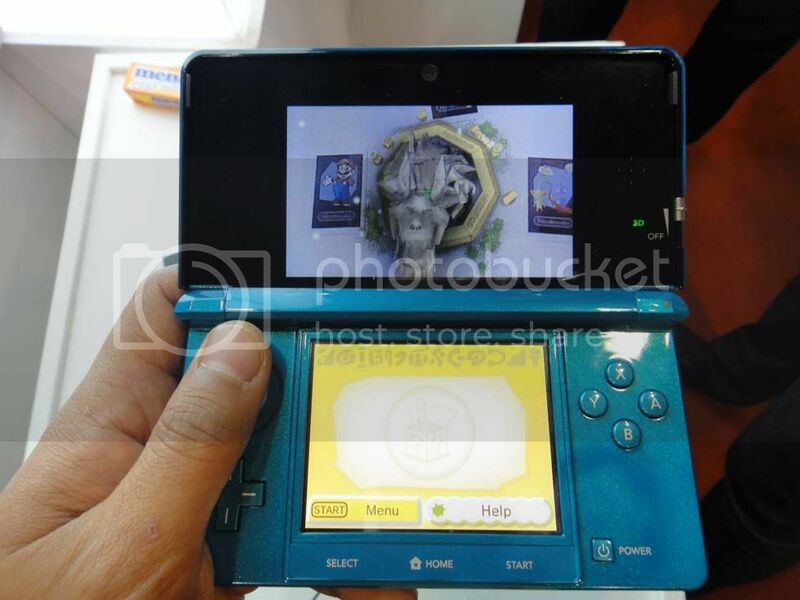 We got some hands-on time with Nintendo's 3DS over at their booth here at STGCC and I have to say I was feeling a bit woozy the first time I tried the glasses free 3D technology. But the moment I got the hang of it it was so damn cool! I can't even begin to understand how they made all those graphics pop out of the screen or have unbelievable depth. 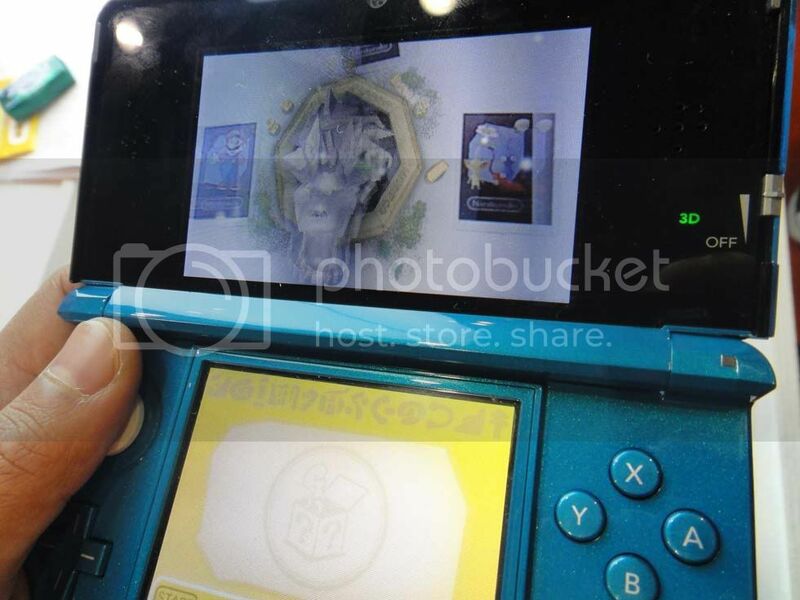 We also got to try the AR (augmented reality) Cards at the booth and everything went smoothly. 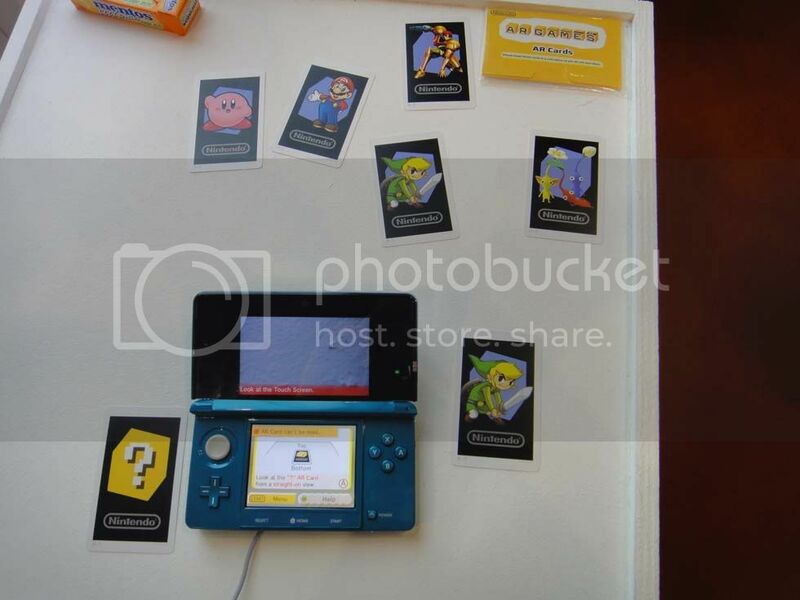 It's a couple of cards you lay on a table and the 3DS' camera will create games around the card it recognizes. If you want your kids to move around while playing games this would be the perfect gadget to grab. That's if you have around SGD 250.00 hanging around the house. I'm not sure how much the AR Cards are but you have to at least get a couple just to try them out. 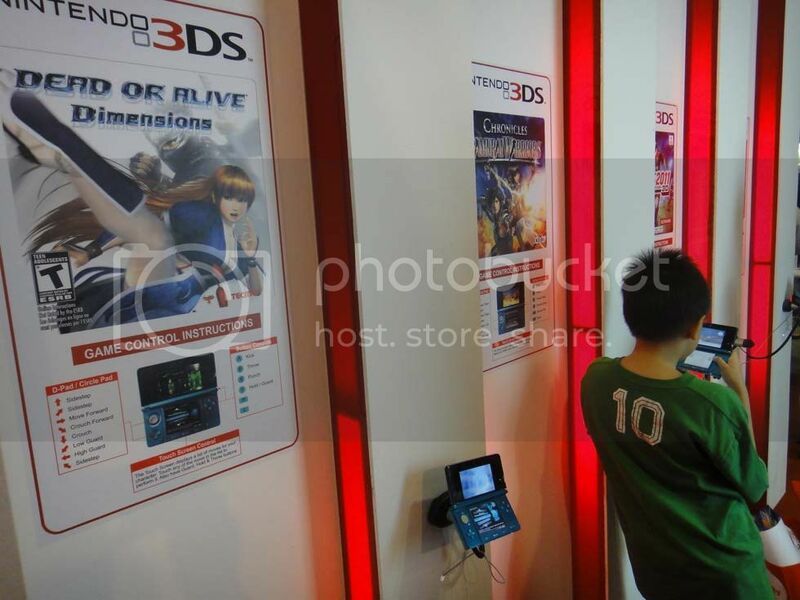 The additional images after the break really aren't enough to show you how awesome the glasses free 3D screens are so you might want to drop by STGCC while you can.